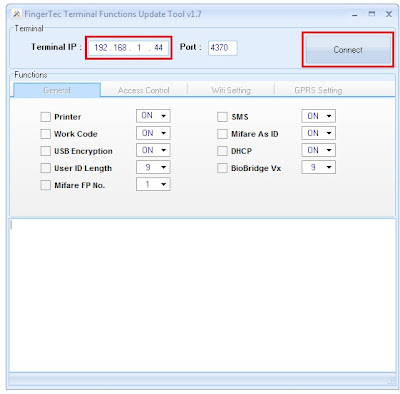 The FingerTec Terminal Function Tool is an essential tool for all technical support personnel. The FingerTec Terminal Function Tool supports all FingerTec models and provides useful time attendance and access control features. 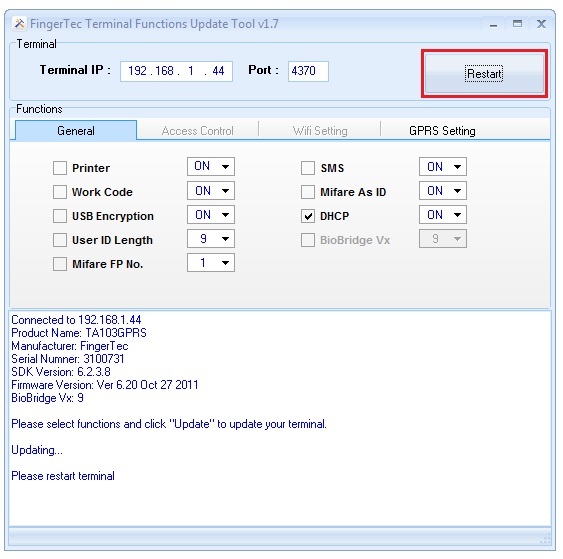 We can update the required and compatible functions into the terminal by using this tool. By connecting to the terminal using TCP/IP connection, it is essential to assign an IP address to the terminal using a LAN connection. It is possible to assign an IP address to the terminal by using the DHCP server. A DHCP Server assigns IP addresses to terminals. This is very often used in enterprise networks to reduce configuration efforts. 1. Insert the Terminal IP and click Connect. 2. Check the DHCP tick box and click Update. 3. After the update, the click Restart to restart the terminal and complete the update. 4. For black and white screen models, press Menu > Options > Comm Opt > DHCP set as Y. For multimedia models, you do not need to configure any settings. 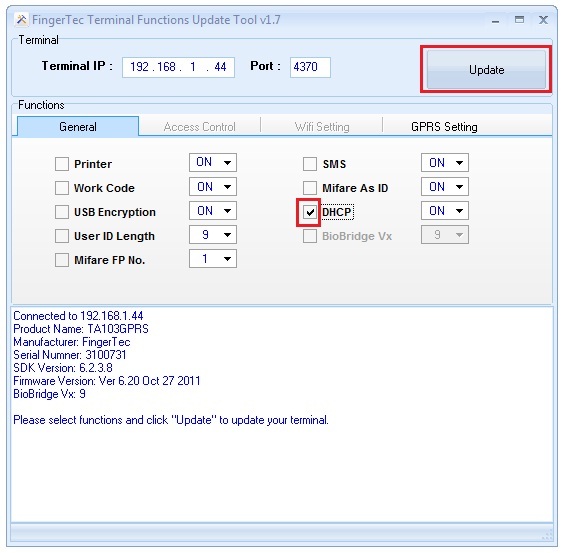 You may download the FingerTec Terminal Functions Update Tool here. How TCMS V2 will connect to the terminal if it is using the DHCP? During the terminal initialization, you can check the IP address assigned by DHCP server under Com option. Use that IP into TCMS to establish connection to it. In case of DHCP server restarts, the IP address might change. So you got to re-do the step above to get the new IP address assigned to terminal. The IP will not change if terminal restarts. Thats a good option,thank you.